Craig Hayes has over 20 years experience in training of Schutzhund Dogs, Military Dogs, Detection Dogs, Personal Protection, Police, Therapy and Search and Rescue Dogs. 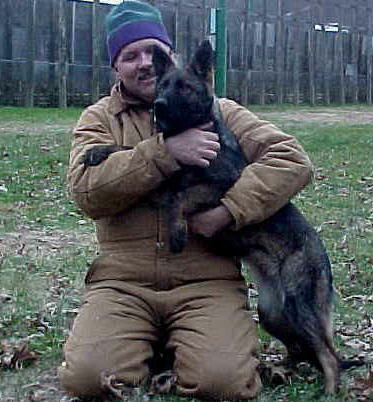 Craig is the owner of NightWulf Canine and Pet Supply located in Proctorville OH. Congratulations to Cai and Crag for earning their BH way to go Craig!!! Now we are on our way to a Sch I, right? ?